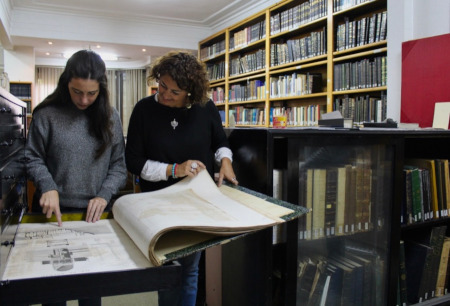 ARCE established its scholarly library in 1978 to support research on various aspects of the history and culture of Egypt. The library grew over the years and, in 1994, a generous donation by long-time supporters William Kelly and Marylin Simpson allowed the physical library to be established in ARCE’s Cairo Center. The eponymous library has continued to grow through contributions, grants, exchanges and ongoing acquisitions. Today the collection contains more than forty thousand volumes, of which approximately 20 percent are in Arabic. The library collection focuses on Egyptology and Islamic studies and includes most standard scholarly reference works as well as some 300 journal titles. The acquisition is undertaken on other subject areas (e.g. Greco-Roman World, Arabic Literature). The Simpson Library collection also includes a substantial number of rare books, including a complete set of the bulletins of the Comité de Conservation des Monuments de l'Art Arabe, a first edition of the Description de l'Egypte (one of only five complete sets in Egypt), and the catalogues généraux of the Egyptian Museum and the Musée National de l'Art Arabe (the present-day Islamic Museum). 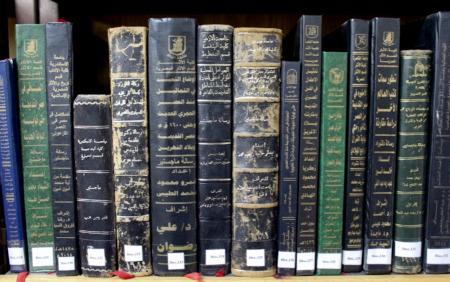 A unique feature of the Simpson Library is the photocopied collection of select Arabic manuscripts that are held in various Middle East Libraries. Acquired by scholars working in Cairo and throughout the Middle East over the past eighty years, the collection includes many works by the Arabic philosopher Avicenna and members of his school. These works have been photocopied for public use; the originals are preserved in acid-free paper. The Simpson library is available to ARCE members, staff, fellows and representatives of affiliated expeditions. It is also accessible to the staff of the Supreme Council of Antiquities, faculty at Egyptian universities and postgraduate students, members of other foreign institutes and expeditions and, by courtesy, to colleagues in general. 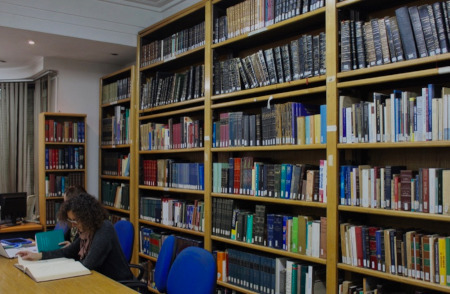 The library’s large volume of publications in western languages, especially English, makes it an invaluable resource to scholars in the Cairo area. An online public access catalog is planned for launch in summer 2019. An incomplete record of the Simpson Library holdings, valid through about 2011, may be accessed through the Digital Library for International Research (DLIR). A photocopying service is available for a fee at the library (subject to copyright law). Sunday - Thursday, 8:30 a.m. to 3:30 p.m.
Friday, Saturday and holidays, closed. The library closes at 2:30 p.m. during Ramadan. For more information, contact the library online at library@arce.org, or call +20 2 2794 8239 and use extension 117 or 118.